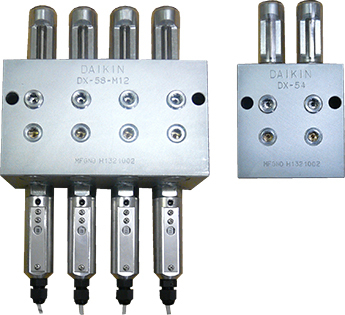 Dual Line | Products | Daikin Lubrication Products & Engineering Co., Ltd. 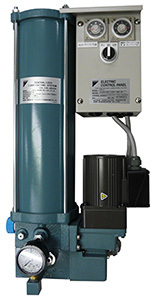 This pump is used in dual line systems. 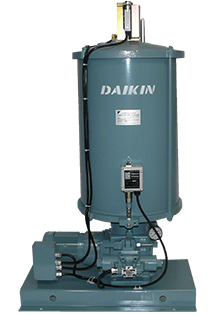 This pump has a single-piston pump mechanism which is driven by a geared motor. 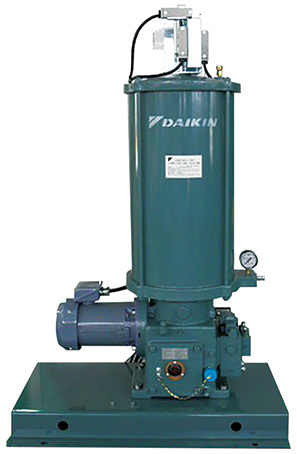 This pump is used in dual line systems. It supports larger equipment and facilities and faster speeds to aid the streamlining of facilities. 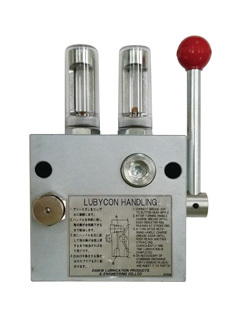 This distributing valve is used in dual line systems. Lubricant is reliably supplied to each of the lubrication points by the pressure of the lubricant that is alternately fed under pressure from the main supply line. 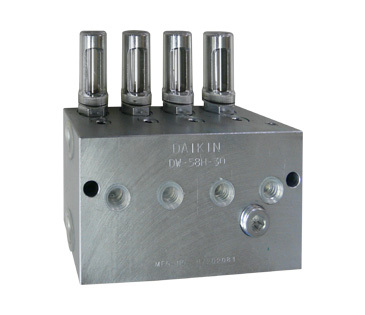 DW type distributing valve is used in dual line systems. The ports are doubled in number from a single discharging type (1 port/element) to a dual discharging type (2 ports/element) for saving space. 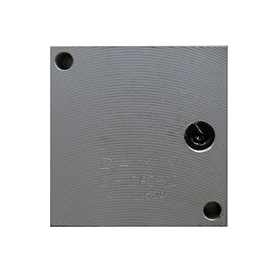 This distributing valve provides a small-scale, low-cost centralized lubricating system. 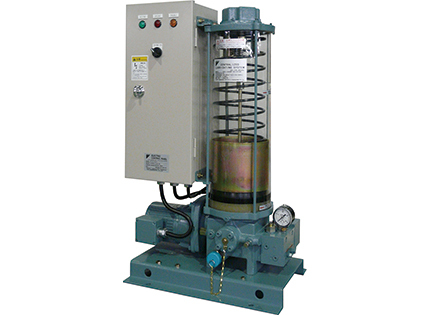 Various lubrication pumps can be connected to the lubricating port to appropriately perform metered supply of lubricant to each lubricating point. This is a completely progressive operating type of distributing valve. When lubricant is supplied, the pistons operate successively, and lubricant is automatically metered and distributed to each of the discharging ports. This pump helps to reduce lubricating system costs by supporting smaller size pipes and wider range lubrication which has resulted from the application of higher pump pressures and larger discharge quantities. 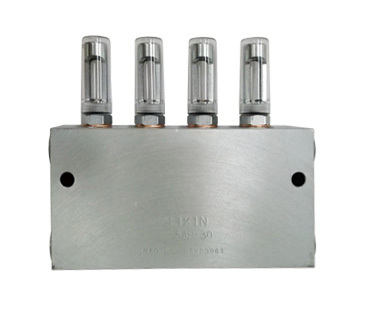 This distributing valve supports an ultra-high pressure of 40 MPa, and can be switched between single and double discharge.